The Chartered Institute for Securities & Investment (CISI) is delighted to announce that Philip Firmin Chartered MCSI of AJ Bell Securities has been awarded the Hoare Nairne Scholarship. 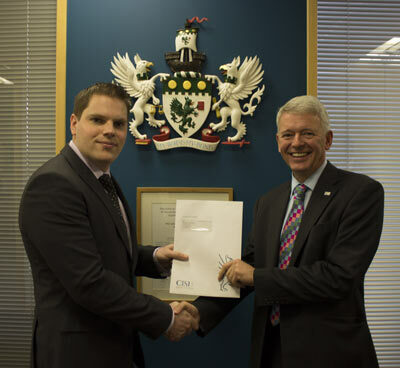 The new Scholarship, worth £2,500 towards study costs, is awarded by the CISI Educational Trust, supported by a donation from Charles Hoare Nairne to cover the costs of the Scholarship for the foreseeable future. The aim of the Scholarship is to help the successful candidate study towards CISI’s premier qualification, the CISI Masters in Wealth Management. The CISI Masters in Wealth Management qualification comprises three units: Financial Markets, Portfolio Construction Theory and Applied Wealth Management, normally taken over 18 months, with sittings in June and December. Scholarship candidates were asked to submit an essay on “Has the Retail Distribution Review helped the saver?”.